Getting around used to be a challenge for 11-year-old Bella Burton. Because of a rare genetic condition called Morquio Syndrome that affects her bones, she couldn't walk without crutches, and often used a wheelchair. That all changed when she got her Great Dane, George. 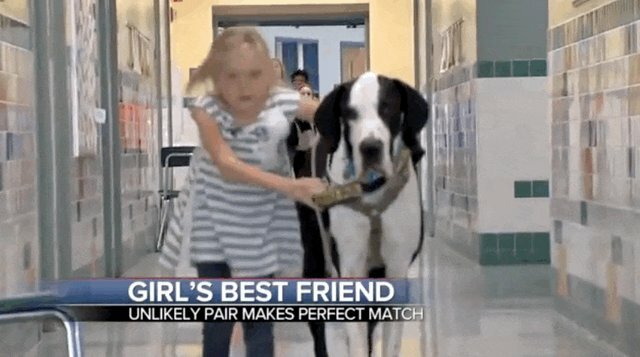 Bella weighs only 43 pounds, and George, her specially trained service dog, weighs 131 - so she can rest her weight on him just like a crutch. Bella leans against George as he helps her everywhere she goes, from school to the park to bedtime. With his help, she can walk - no more crutches or wheelchairs. 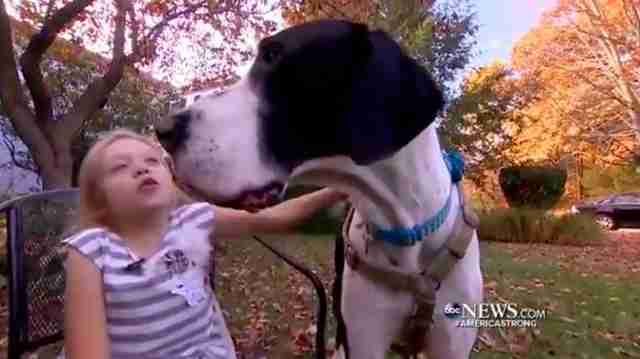 "He helps me walk," Bella told ABC News. 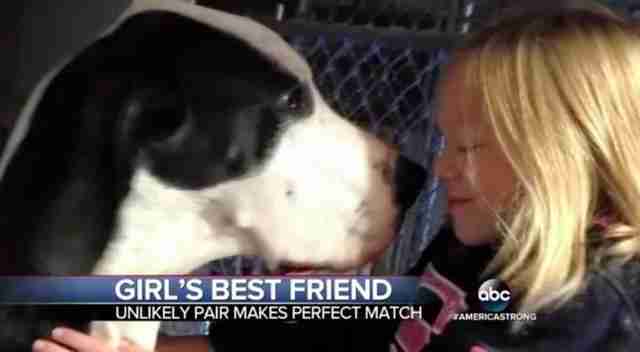 But George is more than a service dog - he's also a loyal best friend. When he's not helping her get from place to place, George curls up under Bella's desk at school, or happily chases her down a hill when she goes sledding. 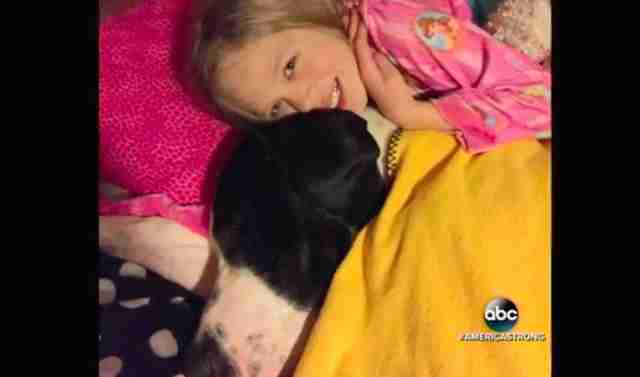 All pets change their owners lives for the better - but the bond between this service dog and his little girl is something special. Not only can George give Bella lots and lots of love, he can also give her a kind of freedom she hadn't had before.